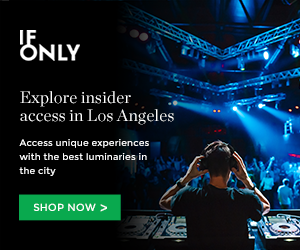 One of the quiet blisses of living in the shadow of Los Angeles’ flourishing music scene is that on any given night, a dozen different bands, singers, rappers, and musical creatives can be found cutting their teeth on the nearly endless circuit of clubs, bars, and theaters that dot the city. But of all the places you could’ve been last Thursday night, the Troubadour’s historic bar and stage was the one that played host to an unforgettably atypical trio of performances. For a night that revolved greatly around the Los Angeles headlining debut of UK singer/songwriter Barns Courtney’s driving, folk-pop anthems, the road leading up to his finale was a bit of a fake-out in terms of his opening acts’ stylistic tendencies (and personal antics). Show openers Foxtrax started the night with an overtly gleeful, thirty-minute montage of propulsive indie-rock tunes, powered seemingly solely by lead singer and guitarist Ben Schneid’s jubilant playing. Tangibly stoked about finding that he and his band were on an stage, playing for a packed house, Schneid bounced from heel to heel behind his microphone to the glittering guitar riffs that spun themselves around his juvenile croons. The band’s onstage chemistry was enough to break the mold of their, at times, formulaic alt-pop sound, yet the occasional dazzling moment from a twinkled keyboard melody or rare burst of synths, did more than allude to some hidden penchant for non-conforming indie tastes. Concluding every song with a jump kick, Schneid seemed to know his role as the warm-up act well, and entered into this endeavor with enough belly-burning gusto that the relative obscurity of their song’s lyrics by the crowd wasn’t even enough to dissuade him (at one point telling the crowd to “sing along” if they knew the words, which they didn’t, but his request was still met with a rallied enthusiasm). In truth, the authenticity of Schneid and company’s charming excitement, and no shortage of sweaty, throat-burning fervor, took the Troubadour’s early arrivers from a sea of head-bobbing zombies to a tangle of head-banging craziness. At just a little under a year-old, Foxtrax might still have a ways to go in honing their sound so that their peculiarities shine through their music as well as in their onstage personas, but the group’s live sound has all the raw, grimy potential that’s worth following up on later down the road. Energized as hell, the crowd thought it was ready for whatever Donna Missal was about to throw at them, and at first, the moody lo-fi transmissions of her first two opening songs fooled everyone into pinning her down immediately as just another disciple of the alt-R&B movement. When she started to sing the opening lines of “Drunk in Love,” a few impressed, wide-eyed looks were garnered from the crowd, but still, we were unsure. Then the tempo jumped as she started to rap, cutting through Beyonce’s lines like a chain saw through butter–yet still holding onto the smoldering, darkly intimate curvature that came with every one of Missal’s annunciations. As she hit the chorus, a thousand explosions of ear-grating synths seemingly blew out the Troubadour’s speakers as Missal’s husky howl sent goose-bumps shivering across our bodies. What started out as a bold cover quickly became a moment of show-stopping, spotlight stealing foreshadowing, as Missal broke out of her initially coy facade and proceeded to tear down the Troubadour brick by brick. A delightfully unconventional vocalist with an insanely powerful voice, the young singer’s voice cracked at gorgeous intervals as she took her dually hoarse and soothing voice from euphonious croons to staccato, vocal jabs that punctured the air as much as our hearts. By the end of her set, Missal had gone from a deceptively minimalist R&B show, to a guitar blaring, cacophonous clash of crescendos and drops that revolved entirely around the hurricane of sultry and visceral romanticisms that gushed from her little narratives. By the time Barns Courtney walked onstage, lonely except for his drummer (whom he affectionately referred to as “Mr. Rob”), the crowd had no idea what to expect. The night had been a dizzying lesson in shattering expectations and assumptions, and while Courtney could be relied on to offer up his textbook percussion-driven, acoustic foot-stompers–the night was far from out of surprises. Two songs in, Courtney gave the crowd a taste of his hip-hop fascination, mixing a delectably dirty back-beat from his drummer with a finger-bleeding riff from his guitar, while all the while lulling the crowd into his jacket pocket with that bottomless baritone voice of his. One day Courtney will have a full-fledged band to flesh out his sound, and on that day the sonic hammering of his song’s throbbing energy will be an exhaustive sight to say the least–but for now he just has his guitar, his voice, his English-by-way-of-Seattle charm, and Mr. Rob; and it works. After we’d stomped permanent craters into the Troubadour’s dance floor, we calloused our heads with clapping to the rhythm of the aptly named “Hands,” sharing in the at once ambiguous but highly unfiltered triumph of Courtney’s brow-beaten tales. While the celebratory nature of indie-rock’s more pop influenced pieces are usually inflated, forgettable fads with overdone “whoo-hoo’s” or “ho-hey’s” (looking at you Lumineers), the relative recentness of Courtney’s strifes hit home with every poignant assertion made with every victorious shout. It’s not about how much of his grunge or hip-hop loves make it into his songs, it’s not about how much pop leaks into it either; what bleeds through, especially alone on a stage clothed in his vulnerability, is the harsh ability to relate to his accent-less croon. For Courtney, it’s always been about saying “follow your dreams,” without actually saying it; and in a world of watered down, fabricated notions of hardships penned by ghost writers, authentic songwriting is enough to fill the void of an nearly empty stage and transform a simple singer/songwriter into a rock-star. More Photos Below of Barns Courtney, Donna Missal & Foxtrax! This entry was posted in Live Concerts and tagged alt, Barns Courtney, Donna Missal, foxtrax, r&B, rock n roll, singer-songwriter, troubadour, women who rock on September 12, 2016 by Steven Ward.